The trophy of the Geneva Watchmaking Grand Prix was created by graphic designer, Roger Pfund, from Geneva, who also designed the Swiss passport and a large number of bank notes. The hand is the symbol of skill and mastery, both key to all watchmaking trades. The artist drew his inspiration for the trophy from the fresco on the ceiling of the Sistine Chapel, painted by Michelangelo, in which God touches Adam’s extended hand to give him life. It also symbolises the memory and the passing on of knowledge. 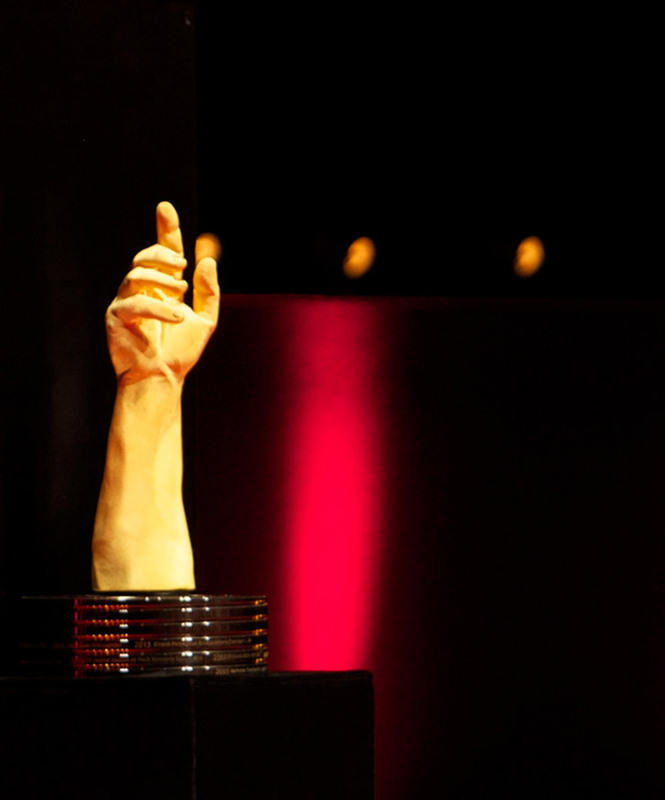 The trophies presented to winners of the various prizes are made of gilded bronze by the Geneva-based company Bélart SA.